Actually, the ancient Mollog just wants to sleep! Since the Skaven disturbed him during his nap and left his cave in ruins, he now wanders tired and grouchy through Shadespire, accompanied by three cave creatures. Now, anyone who crosses his path while he's searching for a new place to sleep should be well prepared for a raging Troggoth. If the tired Mollog is not granted peace and quiet in the Mirrored City, he can at least nap in his foam bed in this blue Magnetic Box. 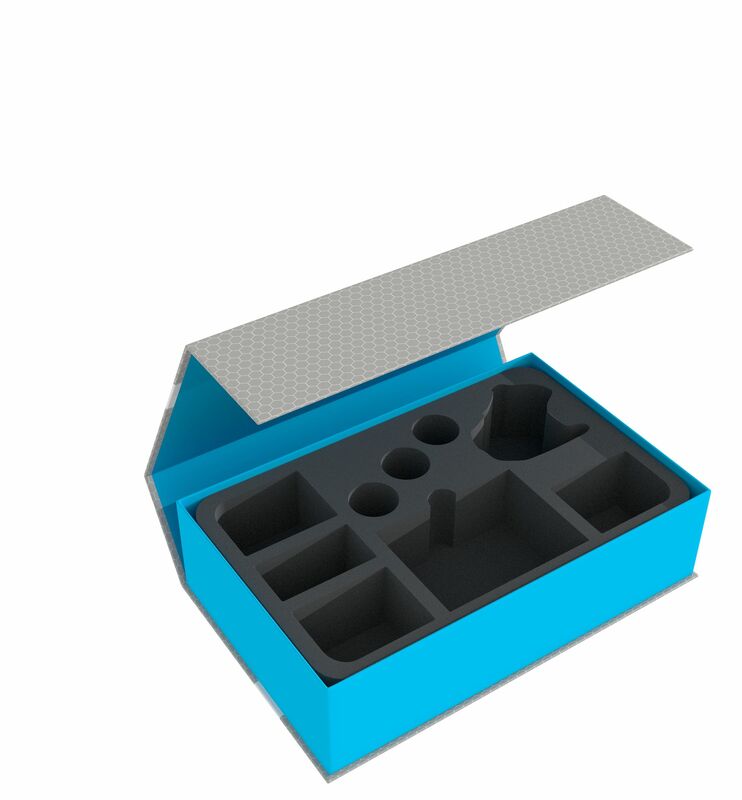 The insert is divided into 9 compartments. One large and three small compartments are exactly tailored to the miniatures of Mollog and his tag along trio - Bat Squig, Spiteshroom and Stalagsquig. The soft foam protects the fine parts of the figures so that Bat Squig doesn't break his wing and Mollog keeps his earring. It also ensures that the models do not slide around or collide with each other during transport. Painted miniatures are thus best protected against abrasion and scratches. Another compartment is reserved for the cards. It is provided with a finger-wide recess to make it easier for you to get the deck out. Up to 40 cards fit in here, of course also with sleeve. 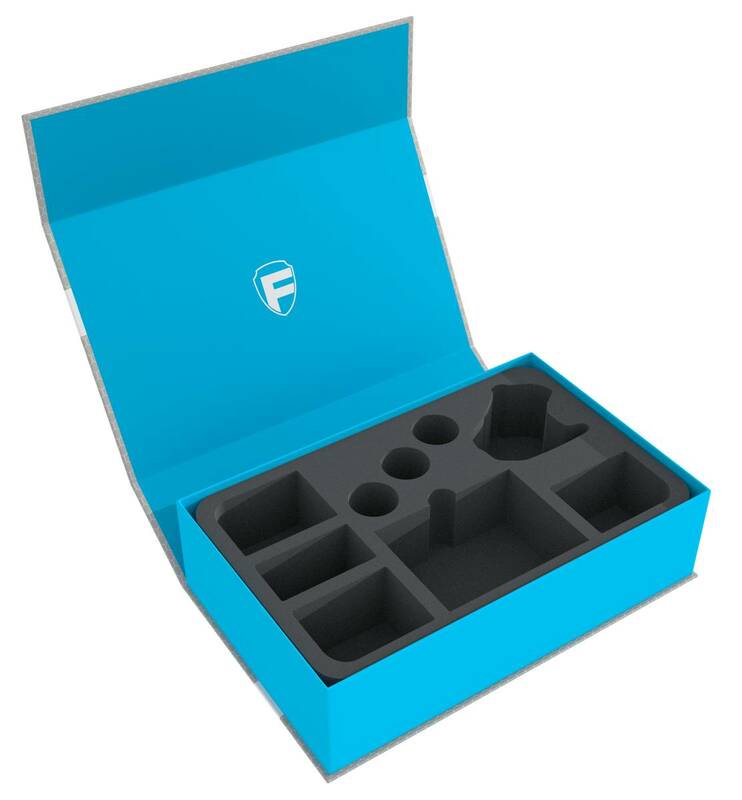 Dice and tokens can be sorted into four additional compartments. 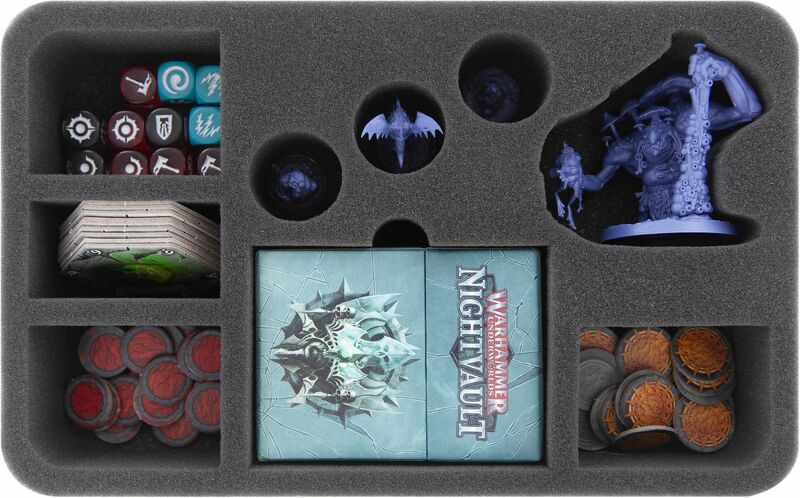 With the matching foam topper, all miniatures are safely stowed away, the game material is neatly stored and Mollog has a place to rest - at least until the next troop should dare to disturb him.